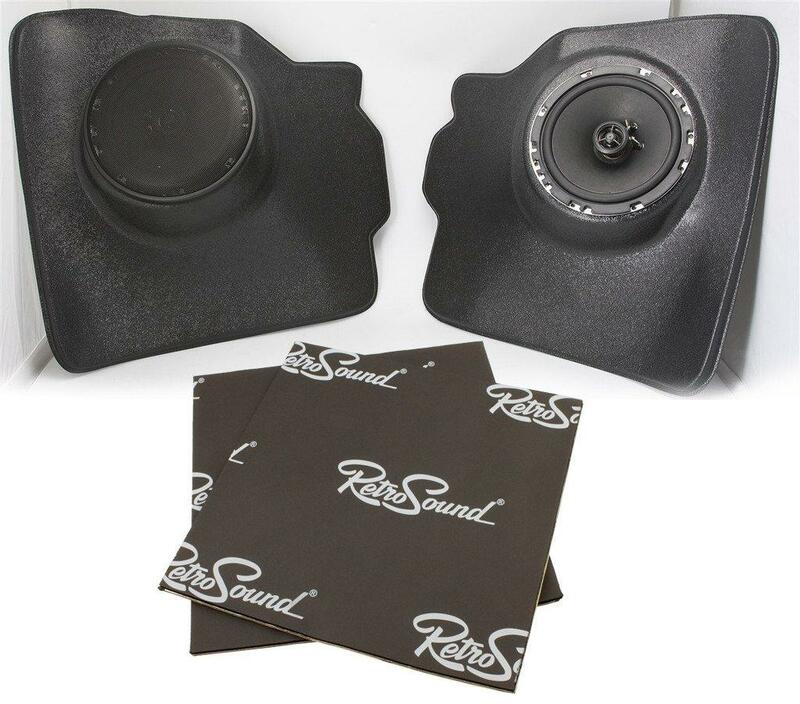 These kick panel speakers mount easily in your 1952-73 Volkswagen Beetle Sedan. The speaker mount is angled to direct sound upwards towards the listener, and not at your feet. The R-652N speakers feature neodymium magnet structure for an ultra-thin yet powerful design. Santoprene surrounds provide a smooth, natural sound and mylar tweeters produce crisp, clear highs. Magnets are dip-cut to allow for extended pole piece excursion and high output. Speaker grills are included.